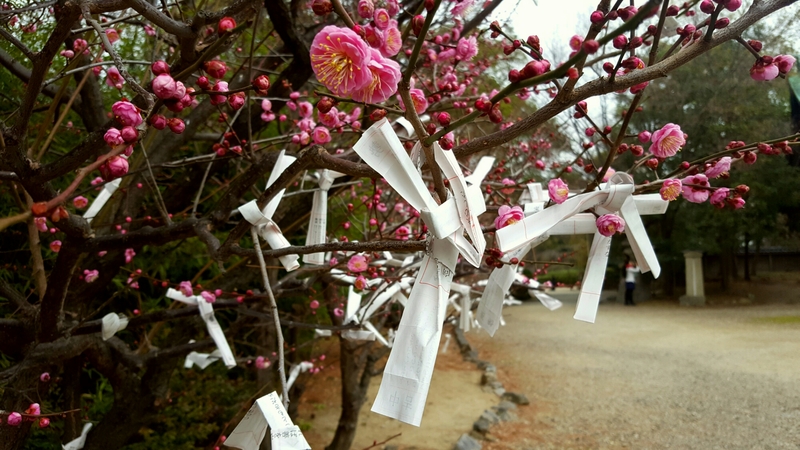 Day 5 was spent in Minoo Park, one of Japan’s oldest national parks, in the hills to the north of Osaka city. This is another location I’ve visited on each previous trip but unlike earlier visits decided to go off the beaten track a little to see more of the extensive forests that surround the main tourist paths to the waterfall. The path to the waterfall was much quieter than any time I’ve been before and most, but not all, of the vendors that line the 2.8km walk were closed for the winter. 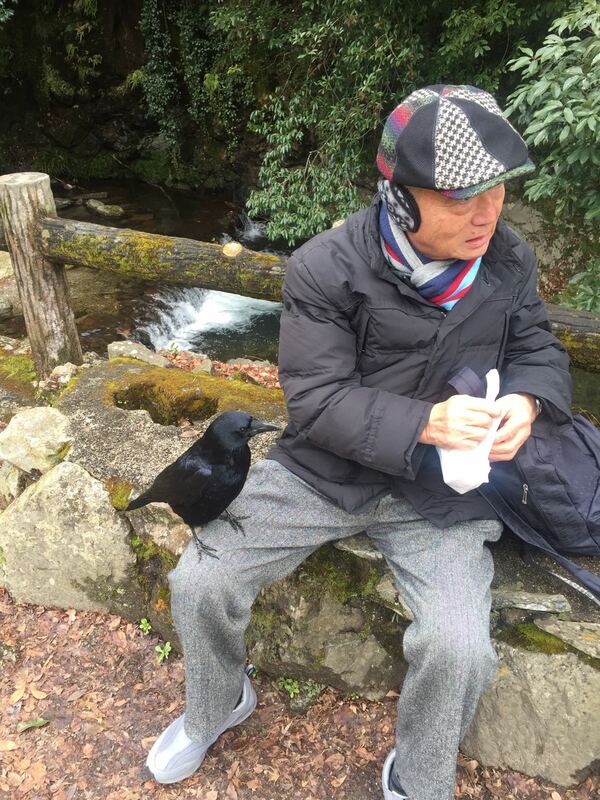 About 1km into the walk I stopped to take a photo of a huge crow (Japanese jungle crow) which casually settled on a tree no more than 3ft from the path right in front of me when a Japanese gentleman passed and said “that’s my friend”. I kinda smiled and laughed, assuming something had been lost in translation, but sure enough he sat down on a bench and the bird flew over and sat on his knee! He had a bag of food which he shared with us to feed to the crow, while explaining that the crow would hide the food as “presents” for the other crows in the trees that didn’t trust humans. It was fascinating to watch the crow break the food into small pieces then carefully hide them under leaves and beneath branches and roots. After spending some time with this lovely gentleman and watching him with his friend, we continued up through the forest towards the waterfall. All of the guidebooks about Osaka will tell you that Minoo has wild monkeys and deer along the route but I’ve never seen either and apparently it’s quite rare to see them, so it was quite a surprise to turn a corner and find a troop of monkeys foraging at the side of the path! These animals are completely wild and apparently VERY intolerant of humans so it was a huge privilege to get to film and photograph then for a while. 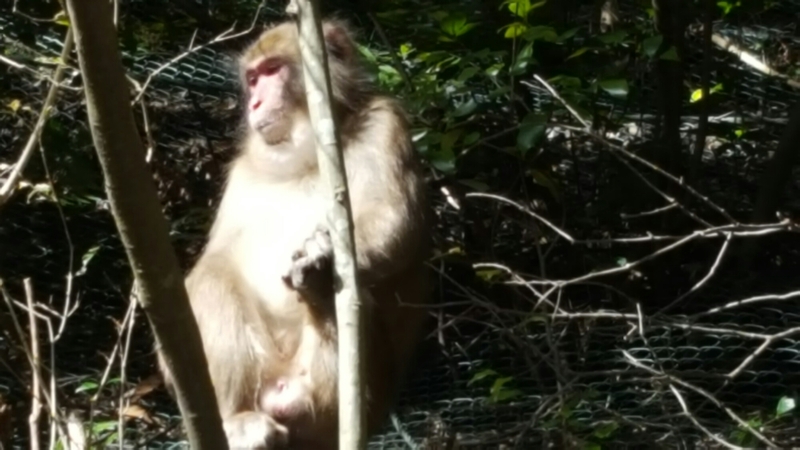 An American, who has lived in Japan for the last 19 years explained that this was extremely rare as normally only solitary male monkeys who have been expelled from the troop venture down to the path. After taking LOTS of monkey photos it was back down hill to the station and the train to Umeda. A walk around the HEP 5 entertainment complex and a nice late lunch of noodles, fried chicken and soup was followed by some shopping then a short trip back to Namba and the apartment. It’ll be an early start tomorrow as it’s Himeji castle day. A location I almost visited in autumn 2015 but didn’t quite manage. Looking forward to finally exploring this world heritage site. Stay tuned for some photos and updates from this trip! 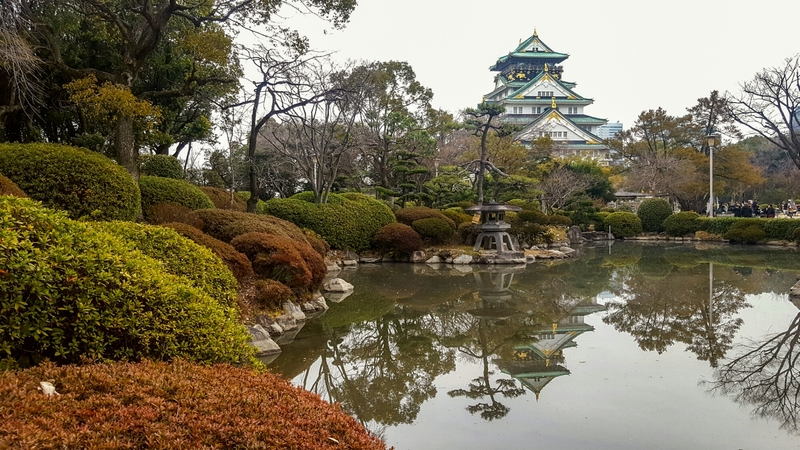 Woke this morning to torrential rain in Osaka and was a bit hesitant to set off for Mount Koya but in the end decided to give it a go… and so pleased that I did! 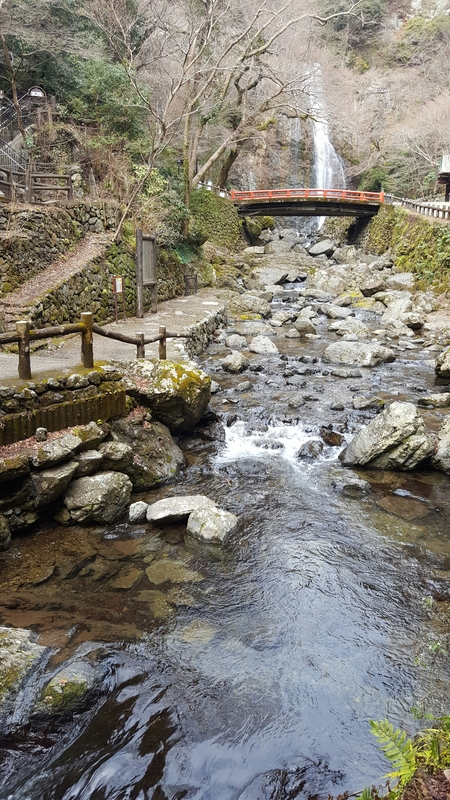 The heavy rain continued all the way from Osaka to Gokurakubashi where the train terminates and passengers transfer to the koyasan cable car for the last 1500 ft of ascent to koyasan station. As the car rose the rain quickly turned to a fine mist and slowly, through the mist, small pockets of snow could be glimpsed around the bases of the tall trees that cling to the steep slopes along the cable car route. As we climbed the pockets grew in size and number until at the summit the whole base of the forest was carpeted in snow. 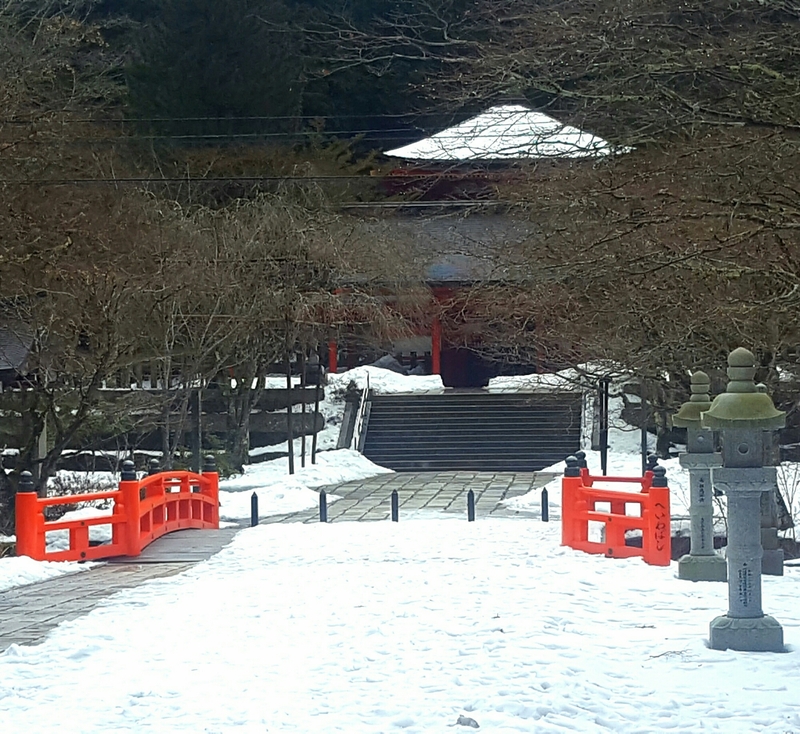 If you told me months ago i could be granted one photography wish for the winter trip to Japan I’d have asked for snow at Koyasan. As a second best, I’d have been happy with fog at Koyasan. I got both today! 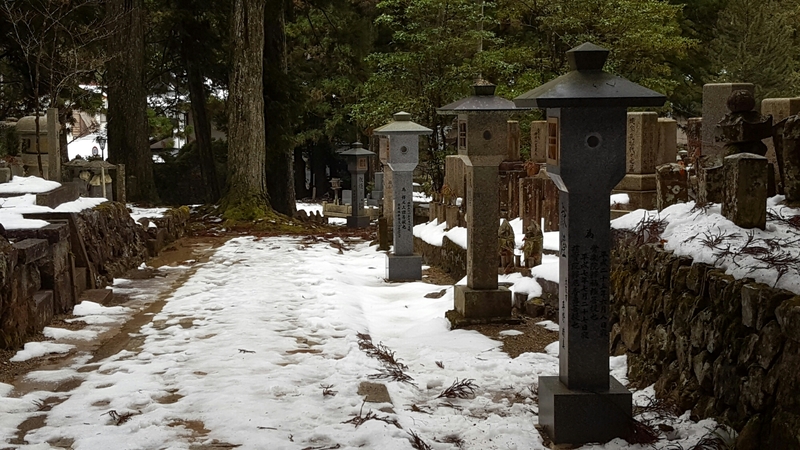 After the short bus trip from the cable car station to Okunoin I set off into the forest to try to grab some shots of the snow covered temples and high forest trees disappearing into the mist before the weather conditions changed. Okunoin is one of my favourite photography locations in Japan and I’ve been lucky enough to see it in full summer bloom and thick autumn mist but I always wanted to see it in the snow so today was great. The photos in this blog were taken on my mobile phone and really don’t do the location, or the conditions, justice but I’m hopeful that I managed to grab some interesting images – and videos – to share on my return! Day 3 began rather dull and overcast so the planned early morning trip to the Shi’tennoji temple was postponed for a few days. Instead the day started with a trip to Hommachi to see some of the 2017 women’s marathon pass by then a quick lunch at the Hard Rock cafe before heading out on the Chuo line to Morinomiya for a walk around Osaka Castle Park. 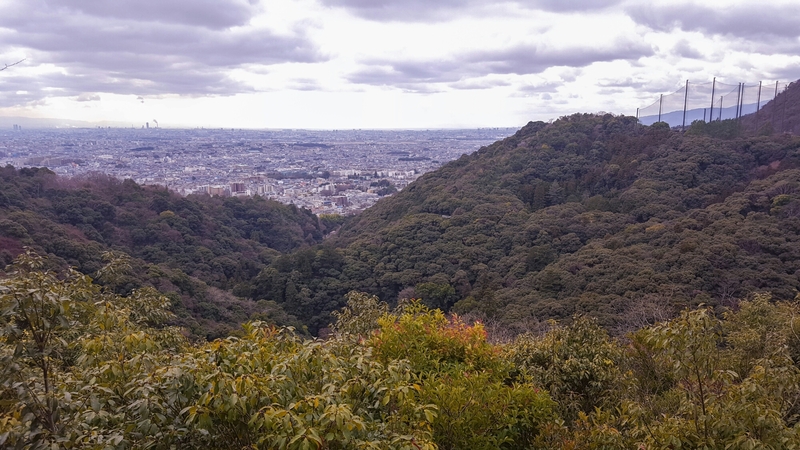 Followers of this blog will know I’ve visited the castle park every time I’ve been to Japan and I’m still surprised how no matter how often I visit I manage to find a new location or viewpoint I’d never noticed before. Today was no exception as I discovered a beautiful little pond which I must have stood next to several times before but only noticed today as the branches on the surrounding trees were stripped of all their leaves for the first time. After the castle, a nice walk through the park ended at the Plum Grove which lies between the Inner Moat and the eastern Outer Moat. This little garden which contains rows of small (5-6ft high) Plum trees has lovely views over the moat to the castle. As the day drew to a close the rain begun to fall (no snow today) and i decided to head back to the apartment for an early night. 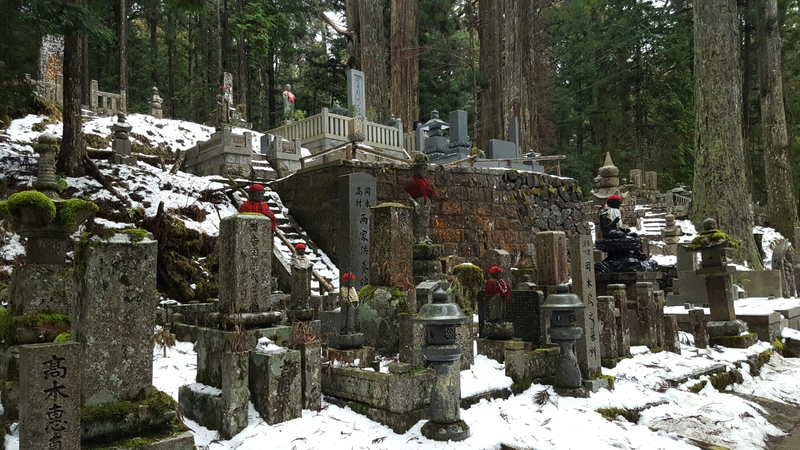 It’s an early start tomorrow as I’m off to Wakayama prefecture and the ancient Buddhist temples of Mount Koya, the graveyards of Okunoin and the Shinto shrines which, at 3500ft, surely must have some snow!? Day 2 was a relatively relaxed day of shopping, siteseeing and buying tickets etc. Did managed to walk 18.5km in the process though! The day started with a short walk to Namba to buy the rail passes which will be used later in the week, followed by a walk around Den Den town where I narrowly managed to avoid succoming to the age-old photographers weakness of second hand camera shops and discounted “I’ve always wanted that lens” bargains! Can I continue to resist as the trip goes on?! 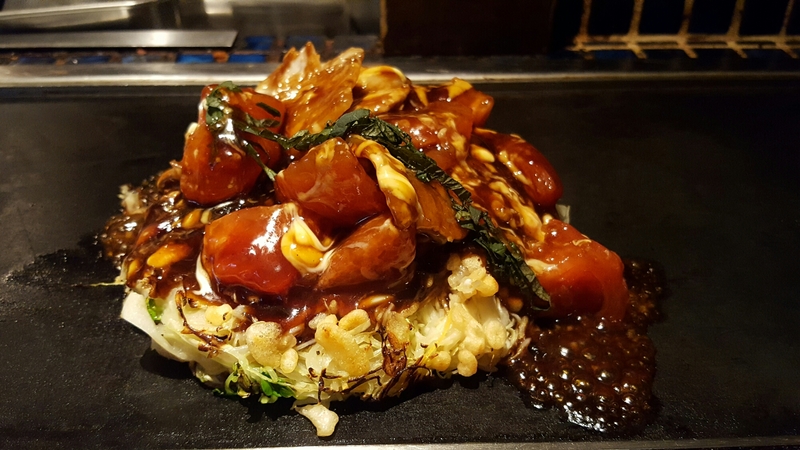 Lunch was a tomato okonomiyaki and sapporo beer at a lovely little place near Dotonburi before continuing on to Shinsaibashi and finally back to the apartment via Mido-suji and Namba Parks. The evening was spent in a great little British themed bar just off Mido-suji. Ive never visited any of the “British” pubs in Osaka before as it kinda felt like cheating a bit to come all ths way only to end up drinking warm lager in the Rovers Return but this one was great and VERY popular with the locals. The overall feel of the bar was quite authentic – complete with pints of ale, artex on the walls and good old British fish and chips! The bar looked for all the world like a traditional British pub but with orderly polite queues for beer, hygienically sealed bar snacks and bathrooms with more technology than most houses back home it was all unmistakably Japanese! Also… i’ve never seen fish and chips eaten with chopsticks before so that was a first! I hadn’t planned on doing much photography today but did manage some street photography and a little videography around Dotonburi and Shinsaibashi after dark. The lighting around these areas is very different in winter with a definite “snow and ice” theme as neon snowflakes light the fences and the trees are decked in blue lit icicles that twinkle as you walk through the streets. Day 3 will begin in 3 or 4 hours and I’ve got a few visits planned for places I’ve already visited in summer and autumn so should be interesting to see how they’ve changed in winter. A light rain is forecast for the afternoon… so I’m secretly hoping the temperature drops a few more degrees and it settles as snow instead! Fingers crossed! Not a lot to share for the first day, other than to say the trip went very well. 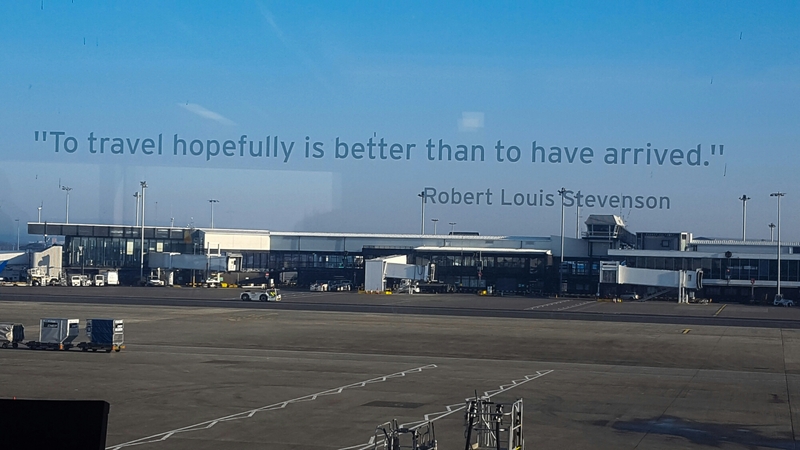 Flights were all on time; meals were great; connections connected. 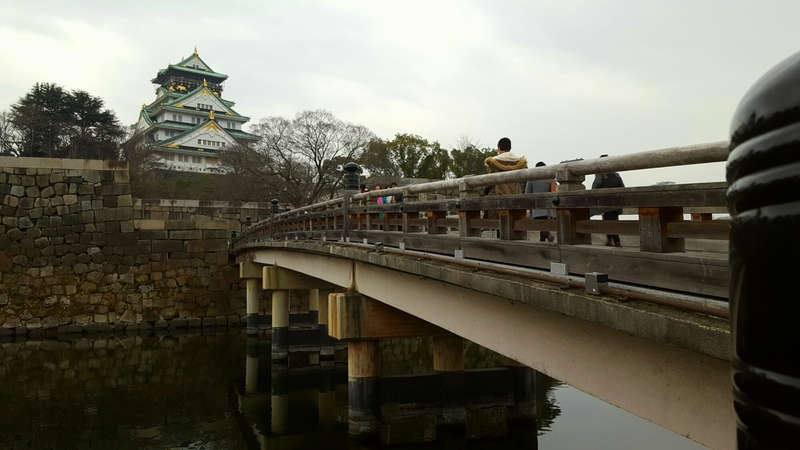 All in all a smooth and hassle free trip to Japan for what is now my fourth visit, but the first in winter. Weather is looking good for photography with clear blue skies forecast most days and ice cold conditions overnight. No fresh snow predicted for Osaka or Kyoto for the next 5-7 days but I have my fingers crossed for a few of the more mountainous locations! Like my last visit in Autumn 2015, this trip will include revisits to places I’ve already photographed in different seasons (summer and autumn now) together with a few first time locations..
I’m particularly looking forward to koyasan in the snow, and the evening lantern festival in Nara, plus a first time visit to Himeji Caste – but more of all that to follow. In addition to the usual blog and the thousands of photographs, I’ve also brought some video recording equipment this time, so look out for some short films from this trip when I’m back home. 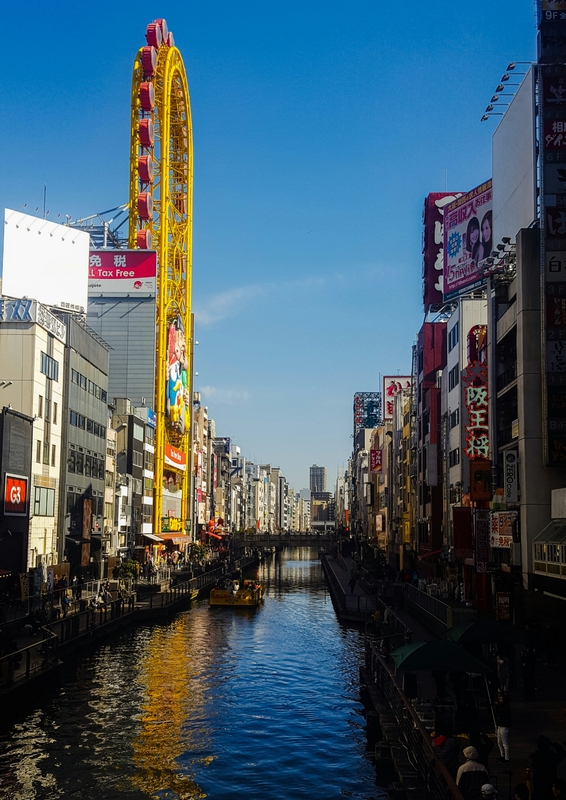 So… day 1 ended as always with a trip from.Kansai international airport by shuttle train to Namba, followed by a short (10-15 minute) walk from the station to the apartment. A brief trip to the local store for essentials – including a more confident purchase of milk (see day 1 of my last trip blog if that needs explained!) was followed by some snacks and noodles before settling down for the night. I’m.writing this first blog at 4am on day 2 as I woke to find the room was FREEZING and couldn’t get back to sleep. It’s minus 2 outside and probably not much warmer inside the room! It is definitely winter here and already very different from previous trips. Anyway, that’s about it for day 1..
Day 2 is a relaxed one with some shopping planned and the usual rail pass and ticket purchasing for the rest of the trip.